First of all, I would like to apologize for the low-resolution images. Due to several circumstances I need to photo shoot using my half-decade old phone camera. 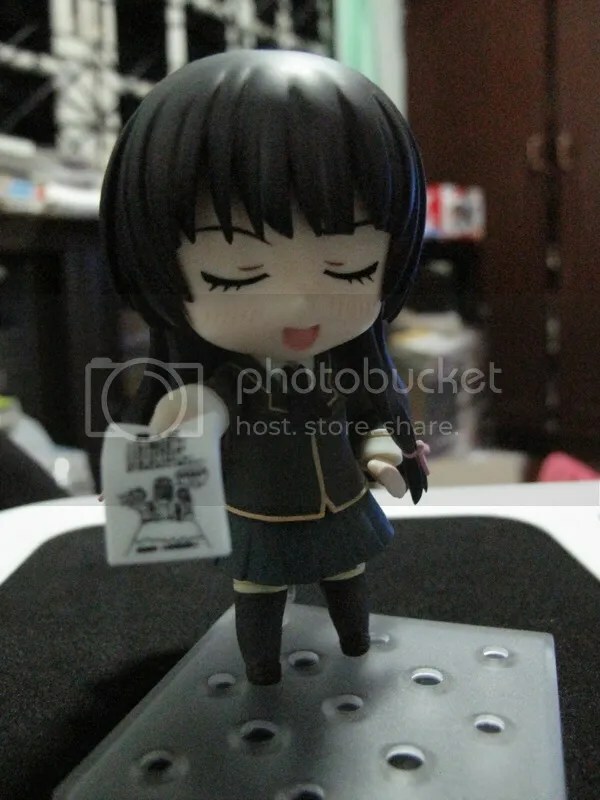 This Nendoroid features night sky Yozora Mizuki from the recently ended Boku Wa Tomodachi ga Sukunai light novel/animated series. 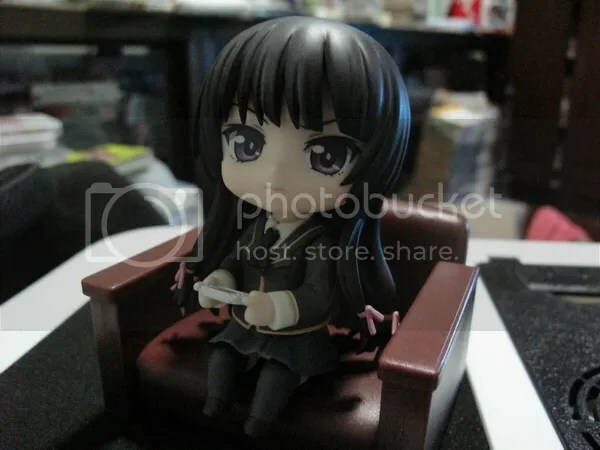 No need for any fancy description, it’s a regular Nendoroid box. 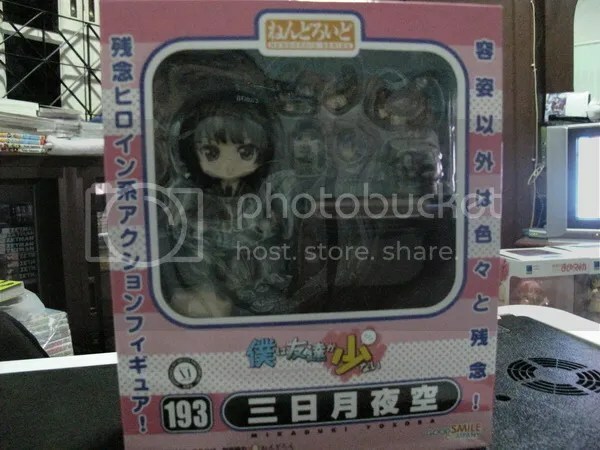 Yozora comes with three faces, her unfriendly/normal one, happy one, and a very happy one. A few random shots, be sure to check out the link at the end of this post for more. Accessories: Yozora comes with three faces, a bunch of arms, her club enrollment form, and a chair. Playability is high with all the posing possibilities. 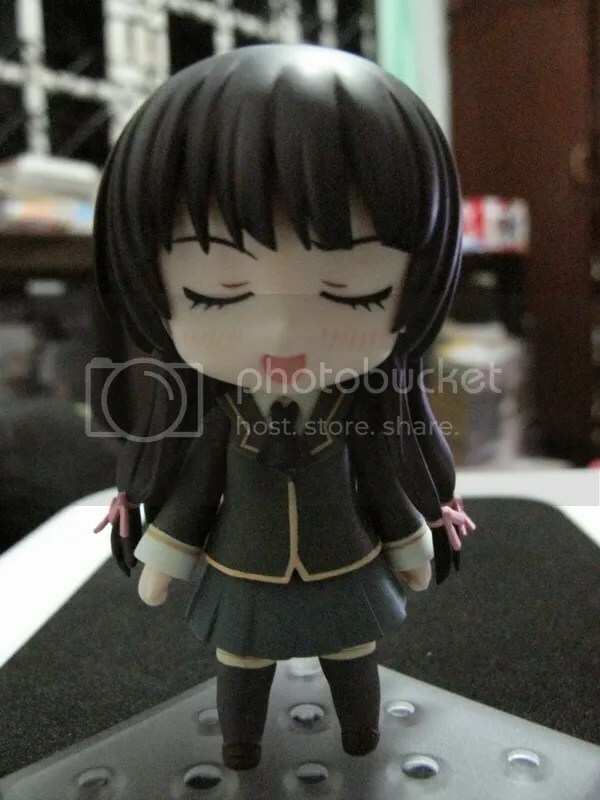 Closing Comments: With all the other crappy Yozora figure being released, this chibi version stands out. 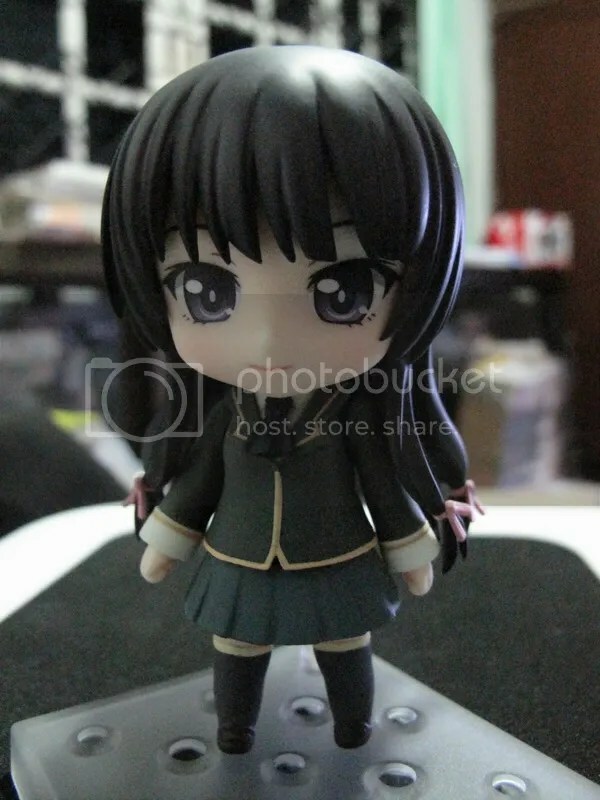 If you are a Nendoroids collector, or just a fan of the series you won’t regret getting her. Thanks for reading, till’ next time. 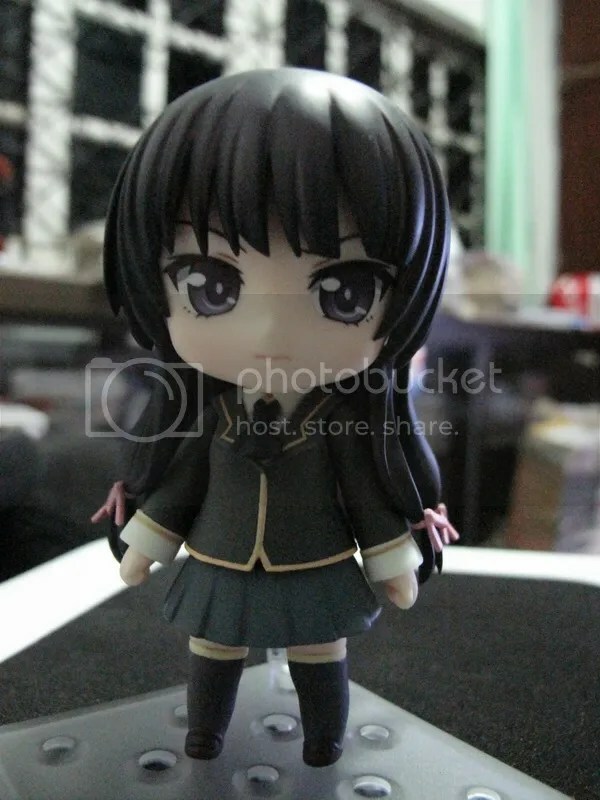 This entry was posted in Reviews and tagged Boku Wa Tomodachi ga Sukunai, Good Smile Company, Nendoroid, Review, Yozora Mizuki.